Ad design gets creative types in sneakers. Schedules get media planners in slacks. Direct mail gets analysts with calculators. So who is managing your offer? The “offer” in the ad message often falls between the cracks, because too often there is no clear party responsible for managing it. Creative shops do brilliant design and out-of-the-box thinking, but aren’t pricing strategists. Media planners focus on making advertising targeted and efficient. Call center managers, marketing managers, direct mail agencies, customer analytics teams all have pieces of the marketing puzzle. And the offer often touches on all, and yet none, of these disciplines. – Who is responsible for the offer? – Does it target profitable customers? – Is your offer aligned with the creative design and media plan? – Will it generate sales at an acceptable acquisition cost? – Is it structured to encourage repeat sales in the future from the same customer? 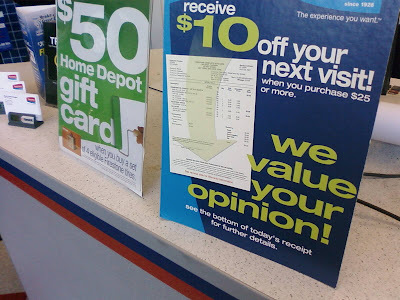 – Or will the offer discourage repeat sales by customers who remember the initial discount? – Is there a plan to test and refine the offer? – If you currently have a good offer in place, are you actively testing future offers for improvement? – Has your call center received deep training on offers in place, and how to sell them verbally when prospects respond? – Do you have measurement systems in place to monitor any adverse impact of the offer (customer confusion at the call center, perhaps)? – Are all channels aligned, or do different offers in sales, web, media and direct marketing undercut each other? – Are you watching competitors’ current offers, and their response to yours? Yeah, it’s complex. So put a team in place. And make them an offer. Leigh Householder over at the Advergirl blog explains why the Wendy’s red wig campaign failed — it was out of sync with its customers. Leigh suggests that fast-food consumers fall into four segments: families & kids, convenience eaters, calorie nullifiers (that is, working guys who need real fuel), and, yes, all-day eaters. Her handy chart above shows Wendy’s slipped by not matching the ad promise with restaurant reality. It is tempting to try to craft an ad message that breaks through today’s clutter. The lesson from Wendy’s may be killer concepts are not enough. Marketers need to provide a plausible promise, something that reaches the right demographic, and matches the actual operations experience. Perhaps it’s time your CMO took your COO out to lunch. All this talk about mobile marketing trying to beep people as they drive by the mall so they’ll stop reminds us of something. The :CueCat! :CueCat was a bizarre little barcode scanner that magazines began promoting in 2000 to connect print advertising to web sites. The idea was you’d be sitting at home, reading Forbes or Time, see a killer ad, and the ad would have a special bar code on it. Excited, you’d walk over to your computer, swipe the barcode with your :CueCat reader, and — yes! — your computer would immediately flip over to the appropriate web site. It was so convenient … provided you walked to your computer, had the PC on, had the :CueCat tethered correctly, etc. etc. etc. :CueCat died an ugly death because of complexity and privacy concerns. Luckily today’s marketers are much smarter, building simple response pathways such as DRTV ads that required YouTube videos training you how to record the ads and slow them down, billboards that broadcast radio AM signals, and mobile marketing ads that beep you as you drive by malls encouraging you to stop and … oh, never mind. … Oxfam America, for a brilliant, funny, charitable gift-giving web site. Google “silly gift” on a whim and the No. 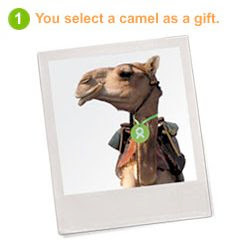 1 pay-per-click ad is Oxfam, taking you to its web site where you can buy a camel for a country in need. Oxfam’s site makes charitable giving a blast, repositioning requests for aid as if you were purchasing a hot leather bag or pair of sneakers for a loved one. We love this idea, and how it integrates Google SEM with strong creative and simple web usability. When you make a donation at Oxfam, your friend receives a gift card showing the “item” you purchased — say, a camel or sheep or emergency rescue kit or school uniforms. A donation for that amount goes to Oxfam, and eventually to the people in the world who need support. So much cooler than just giving cash. Note how visible the customer support number is at the top right of the Oxfam web page. Take that, Amazon! We drove 100 miles to NJ this weekend, so did a lot of thinking about auto marketing. One of the most brilliant automotive campaigns of the past year has been Hyundai’s anti-brand bit — a series of TV and print ads launched Sept. 28 by Goodby, Silverstein & Partners that remove Hyundai entirely from the advertisements. Instead, the ads show clever copy and a tiny “H” logo, pointing consumers to the web site www.think-about-it.com. Apparently Hyundai research found 50% of people tune out ads due to negative connotations, which is another way of saying that a lot of U.S. consumers suspect Hyundai makes crap cars. This is probably unfair — 30 years ago Americans used to think Toyota was a crap brand, then W. Edwards Deming taught Japan a thing or two about manufacturing quality, and now Ford and GM are still struggling to catch up. So Hyundai’s response to our prejudice is brilliant: the TV and print ads avoid mentioning Hyundai all together, and instead challenge the very notion of a brand. Eight 15-second spots and print ads in business/lifestyle mags push consumers to think of Hyundai in a new way, by teasing with thoughts such as “The logo is there to tell you what the car is … not who you are.” Ouch. You can feel the BMW-coveting VW Passat owners who have been debating on settling for a Mini Cooper in their next purchase because they really can’t afford the Beamer suddenly wincing on their couches, realizing, damn, we’ve all been had. You just know that marketing brand consultants all across the U.S. are screaming at their televisions sets, “turn that blasphemy off NOW!” Score one for Hyundai, making us think it may actually be a quality brand. We feel a new “H” in our consideration set. Points off, though, for the actual web site that catches responses. 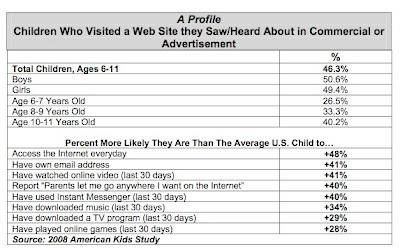 It’s risky enough using offline media to push consumers to a web response, and when we finally get to the www.think-about-it.com site, graphics take a full minute to load even with a cable modem. And then, rather than closing a deal or locking in a rung on our mental brand positioning ladder, Hyundai throws us into obscure mind-puzzlers such as counting how many marbles are in a jar for errant pedantry on “the wisdom of crowds.” Hyundai, what were your web strategists thinking? You had us at hello.